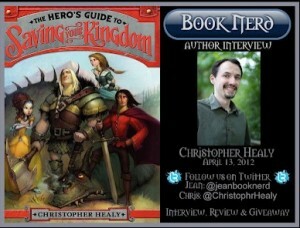 FOX Animation Options Film Rights to Hero’s Guide! Posted on April 30, 2012 by Mr. H Posted in Hero's Guide, Movie	. It was announced in the Hollywood Reporter today that 20th Century Fox Animation has optioned the film rights to The Hero’s Guide to Saving Your Kingdom. Chernin Entertainment, which produced Rise of the Planet of the Apes is attached to produce. Lowbrow & Brilliant! New York Magazine’s Approval Matrix Has Spoken! New York Magazine has honored The Hero’s Guide to Saving Your Kingdom with a spot on its Approval Matrix. Bits of pop culture are graphed out on a range from “Highbrow” to “Lowbrow” and “Brilliant” to “Despicable.” Hero’s Guide landed nicely in the Lowbrow and Brilliant quadrant. Huzzah!